10 signs of liver problems to be noticed!! Liver is one of the most vital parts in the body to help us with our daily activities. But many of us care the least when it comes to taking care of our internal organs, especially the liver. It may be a small infection or infection can occur making a large impact, but it is our responsibility to take utmost care about the liver and be assured to maintain it properly. There may be several causes which can damage the liver, of which some may be toxic and some may not be toxic. The reason for stressing the importance of liver is because, it plays a major part in digestion. 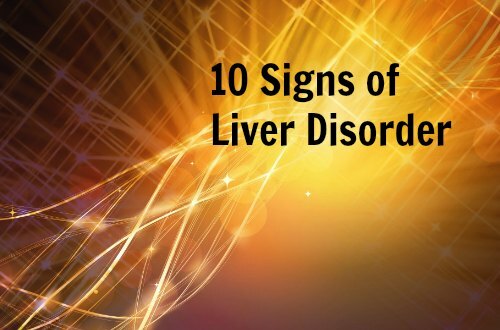 In this article, we will have a look at the major signs of liver problems. There are many causes for liver problems which includes hereditary and some other causes. Here we have a look at the common symptoms which denotes that your liver is under damage. This is one of the most important symptoms to be taken cautiously when determining a liver problem. The swelling may make you look like a pregnant patient and the problem may be a liver cirrhosis, in which the essential proteins and the energy fluids are retained within the blood restricting the entry into the liver. At such occasions, whenever the fluid is not allowed to enter the liver , it may also be retained in any joints of the body, making it to be swelling. This particular symptom at initial levels can be treated by draining out the fluids from the stomach with the help of a suction tube or may also be drained with the help of needles. In some cases, the level of damage is almost moderate to critical, where it is necessary to perform a transplantation procedure for the liver. Jaundice is one common symptom which indicates the dysfunction of the liver. This infection normally changes the tone of the skin and the eyes to yellowish color in nature.The infection normally stops the functioning of the eliminating the wastes from the blood in the body as a cause of a pigment called the bilirubin. The bilirubin pigments when starts to increase its count, it may be a vital product to stop the functioning of the brain. The symptoms are yellowish urine and dark colored stools will get excreted from the body. The treatment for jaundice which affects the liver is mainly based on the present scenario of medical conditions and stability of the patient. This syndrome can be mainly caused due to the improper ways of medication followed by the individuals. This may create severe side-effects such as heavy stomach pain which usually is unbearable and are immediately treated with medicines for the purpose of temporary relief. There may be times , when your urine is abnormally yellowish in color or create a pungent smell which is usually caused by the excess of bilirubin inside the body. These pigments when not eliminated from the body, it causes some infection to the body. The bilirubin pigment is usually considered to be the anti-oxidant in the body and the excessive amount of bilirubin in the body may not only affect the liver functioning, but also proves to be toxic to the liver. The effects may include several neurological problems. The color change in urine can also be caused due to various factors such as kidney stones, weak gall bladder etc. In such cases there is no need to panic yourself as these symptoms will show off only for a day or two. The irritation of skin may also be considered to produce some ill effects including the damaging of liver. The first and foremost reason to be looked after for the main cause of irritation is due to the loss of body fluids available in the body. When are there symptoms like pale skin or the tone of the skin gets yellowish in color, it may be a symptom of liver disorder. These symptoms show that the person is suffering from cancer and can be exposed to liver problems at any stage. The worst symptoms of this problem is the veins inside the skin can be easily seen since the skin becomes pale and the veins have a small bulge. Whenever there is a change in color or odor of stool, it should be examined properly with care. Sometimes the stool becomes dark colored indicating the loss of fluids available in the body. At this juncture, it is necessary to provide essential nutrients to the body which in turn eliminates the high level of bilirubin in the body to function normally. In some cases, the stools may create inexorable smell and different color showing it to be a symptom of jaundice, which further leads to liver disorders at times. The syndrome in common words can be referred to as the headache occurring in patients with some signs of vomiting sensation. There may be several reasons for this problem, among which undigested foods may also be one cause and may also have an impact in creating liver problems. Whenever vomiting occurs without any symptoms shown either in the abdominal region or the intestine region of your body, it is more likely to considered as the dysfunction of the liver and requires immediate medical assistance. When you see frequent changes in your body getting drastically reduced in dimensions as well as weight, without any medications or any serious syndromes, then it should be treated very carefully as it may cause some serious liver problems. In such cases, the deficiency of vital nutrients required by the body to perform its function is usually lacked causing the liver to start damaging by itself . It is such a serious scenario which may require the patient to undergo transplantation for survival. Whenever there is some malfunctioning caused to the liver, it may result in the increase of the bile pigments which stops the elimination of unwanted fluids from the body and fills the spaces in the joints with these fluids. These fluids in turn may cause some significant symbols of swelling and inflammation. The inability to perform its role by many organs in the body automatically leads to the liver damage which also stops the liver from performing its vital tasks of digestion and other process. This may lead to liver damage and malfunctioning with fatigues in various parts of the body.